This is not a vintage car. 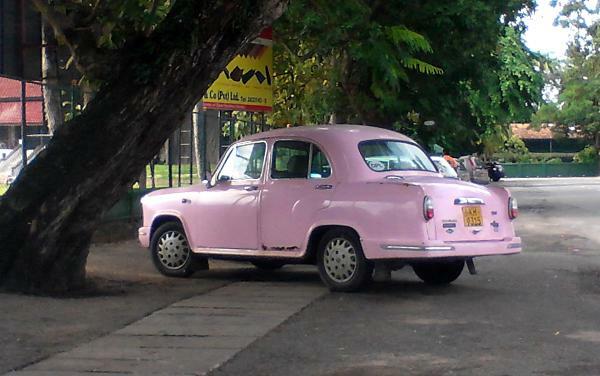 It was spotted on the streets of Sri Lanka in 2012 with a 'KH' plate; which probably means it was registered around 2006 or 2007. It looks so old because it's a Hindustan Ambassador, a car whose design has remained virtually unchanged since 1958. Pink cars became all the rage thanks to the King of Rock and Roll. In 1954, Elvis bought his first Cadillac and painted it pink and things have never been the same.